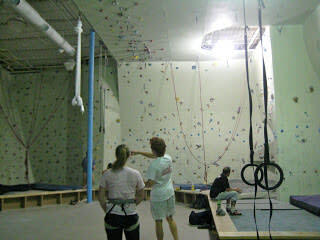 Today I discovered a new hobby- and believe it or not, it is indoor rock climbing. Even more unbelievable is that I did not have to leave Athens to discover it. Located on Barber Street, Active Climbing is truly a hidden gem of Athens. Whether you are a beginner to climbing or are looking to advance to the next level, one of Romania&apos;s BEST climbers (Adrian Prelipceanu) has something to offer you at Georgia&apos;s #1 Indoor Rock Climbing Gym. 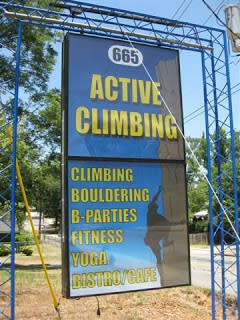 When I arrived at Active Climbing, I was pleasantly surprised at how large the building and climbing walls were. At first I was a little intimidated, because while rock climbing is not entirely new to me, it has been about four years since I have ventured up the face of a climbing wall. 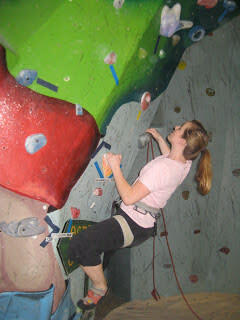 My skill level (or lack thereof) did not matter at Active Climbing, however. Dustin, the Active Climbing intern, was extremely friendly, and he taught my friend Melanie &amp; I how to use the safety belay devices in less than 10 minutes (they provide all the necessary equipment, even shoes!) Before we knew it we were on our own, climbing and bouldering the different courses. 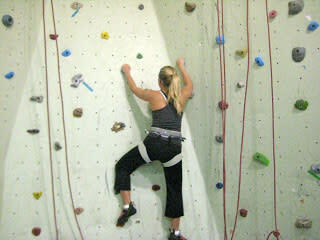 There are two separate climbing gyms at Active Climbing, and each gym has multiple courses for different skill levels. Melanie and I started off at the easier courses and quickly gained courage to attempt the harder ones. The atmosphere at Active Climbing is very relaxing with great music, and everyone (especially the regulars!) is willing to help out. Because of this, I felt extremely comfortable climbing the walls and challenging myself to the harder courses in front of complete strangers. So, if you are like me and have very little experience in climbing, do NOT be afraid. Active Climbing is the perfect place for you to learn about this unique sport and try it out for yourself! Active Climbing offers something for everyone, including those on a tight budget. They offer daily specials like Monday night Ladies Night ($8) and Wednesday night College Night ($8) as well as monthly or year-long memberships at a cheap rate. 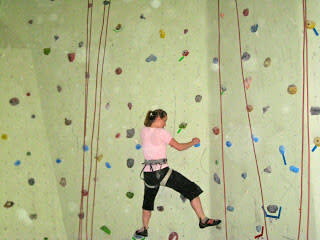 And if you do not feel like climbing, there are alternatives like yoga and gymnastics. They even offer a birthday party room for kids with tunnels, a FAST slide (I tried it! ), a rope swing and more! For more information, please click here. And don&apos;t forget to keep climbing- I know I will.